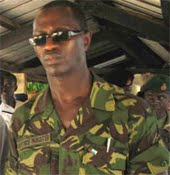 HomeIn FocusHuman rights – Where is Sierra Leone heading? The banning of a radio talk show by the Koroma government of Sierra Leone, simply because the minister of defence is being held accountable for the death of two soldiers in a road traffic accident involving the minister’s convoy, is nothing short of an abuse of executive powers. Whilst the defence minister may not have been directly responsible for the cause of that fatal accident, which took place a few months ago, but as an employer of every one of those soldiers in his convoy, he is legally accountable for their security and safety. When president Koroma speaks of rampant lawlessness in the country, he not only refers to the behaviour of the unemployed youths, or those dumping garbage on the streets, or drivers failing to obey traffic regulations. He is also expected to be referring to his ministers, as well as those responsible for the administration and enforcement of the rule of law. What is so insidious about that fatal traffic accident involving the defence minister’s convoy, which many believe is a big cover up, is that the police have failed to carry out proper investigations, as grieving families of the dead soldiers are left without recourse to justice. Months after the accident, no one is any wiser as to how it happened, what caused it, and who was responsible. Those were some of the hard questions to which, the now banned radio ‘Monologue’ talk show – presented by David Tam Baryoh, was trying to seek answers, and for which he has been accused of ‘threatening the security of the state’. So what happened to the rule of law? What happened to freedom of the press? What happened to the right to know the truth? And what happened to justice for the families of the dead soldiers? It seems justice and truth have now been killed by the government’s unlawful decision to ban the radio talk show – ‘Monologue’. According to the minister of information and in defence of the government’s action; “We cannot allow the security of the state to be compromised in the name of press freedom”. If the government itself is seen to be failing to uphold the Constitution of the land, what moral right has the president to accuse citizens of lawlessness? In 2007 at the height of the general and presidential elections campaign in Freetown, president Koroma – then leader of the opposition and his media supporters, concocted a massive propaganda accusing former president Tejan Kabbah of privately selling a shipload of rice donated to the people of Sierra Leone by Libya. That news story, which was later proved to be false, brought pandemonium and near riot on to the streets. Yet in response, the SLPP government was able to exercise maturity and restraint. 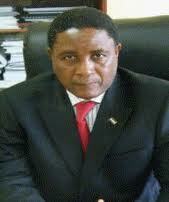 President Tejan Kabbah did not interfere with the constitutional right to free speech and freedom of the press. He instead used the media to refute the allegations, though the political damage had already been done. Koroma went on to win the 2007 elections. And since then, there has been several incidents involving the arrest and detention of journalists; closing down of opposition radio station; and banning of a radio talk show that government finds intrusive and uncomfortable with. So what crime has David Tam Baryoh committed? But it is obvious that the police have no intention of investigating the true causes of the accident, nor does the government have the constitutional or legal right to arbitrarily ban the radio programme. What is also clear is that the government of Sierra Leone is increasingly and dangerously taking a retrograde step, away from guaranteeing civil liberty and constitutional freedoms. Despite the bitter experiences of a senseless war that took the lives of over 200,000 people; a war many believe was made possible by decades of impunity and abuse of power by the previous APC government, yet, lessons are still far from being learned. With the ephemeral concept of ‘state security’ persistently being used by the government to justify its abuse of power, curtailing of civil liberty and press freedom, one has to fear for the future of Sierra Leone. The banned ‘Monologue’ radio talk show host – David Tam Bayoh, once a strong supporter of the government – now one of its fiercest critics, is no stranger to politically motivated harassment. Just a few months ago, he left the shores of Sierra Leone for the USA, after the strong arms of State House were placed around his neck. He was accused of ‘treasonous crimes’ against the State, following the publication of email exchanges between himself and the minister of transport, whom he had accused of threatening to destroy his radio station. 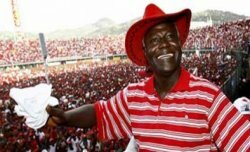 Today, president Koroma has landed another heavy blow on civil liberty and press freedom. But the biggest blow of all is yet to come, after changing the constitution that will have him declared third term president.